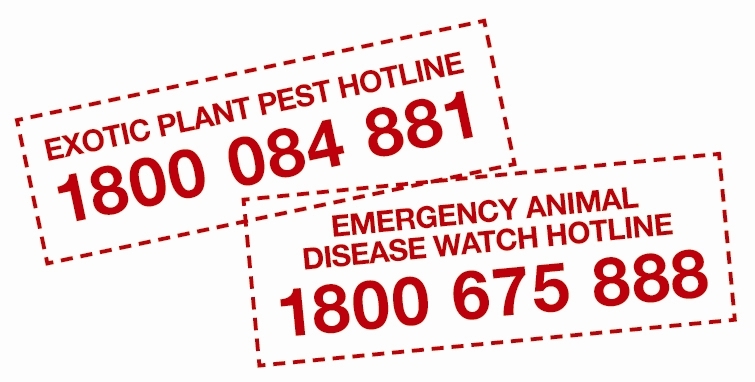 Biosecurity is fundamental to the health, well-being and prosperity of all Victorians. Pests and diseases can threaten our agricultural sector and environment and potentially human health. Victoria has a strong record of identifying and managing biosecurity risks but our natural environment and primary industries increasingly face new and emerging pest and disease threats. These bring new challenges and require new solutions. Australia’s geographic isolation has meant that we have relatively few of the pests and diseases that affect agricultural industries overseas. Freedom from these exotic pests and diseases is a vital part of the future profitability and sustainability of Australian agriculture. Biosecurity allows us to preserve existing trade opportunities and provide evidence to support access to international markets. Government, industry and community all have a role to play to help maintain our safety and reputation and help maintain market access for our farmers. In Victoria, there are systems and process in place to help protect both the animal and plant industries. Property identification codes (PIC numbers) help to identify where there are crops and livestock. The purpose is partly for tracing and controlling disease and residue problems that may be detected after leaving the farm, but also for locating properties and owners that have livestock when an outbreak of a disease that may threaten their enterprise is detected in an area. Traceability systems provide confidence to consumers in domestic and overseas markets that the products they buy are of good quality. Similarly, the National Livestock Identification System (NLIS) provides vital information on the movement of livestock and is a key disease prevention measure available to the animal industries. The NLIS enables livestock to be identified and tracked from their property of birth to slaughter. This will protect the reputation of Victoria’s livestock industry as a supplier of ‘clean’ meat and dairy products, providing a competitive advantage in domestic and export markets.